If you want that code to run every day, just put it in while loop. We’re sorry. We can’t open DocumentName.docx because we found a problem with its contents. Location: Part: /word/document.xml, Line 2, Column: 0. 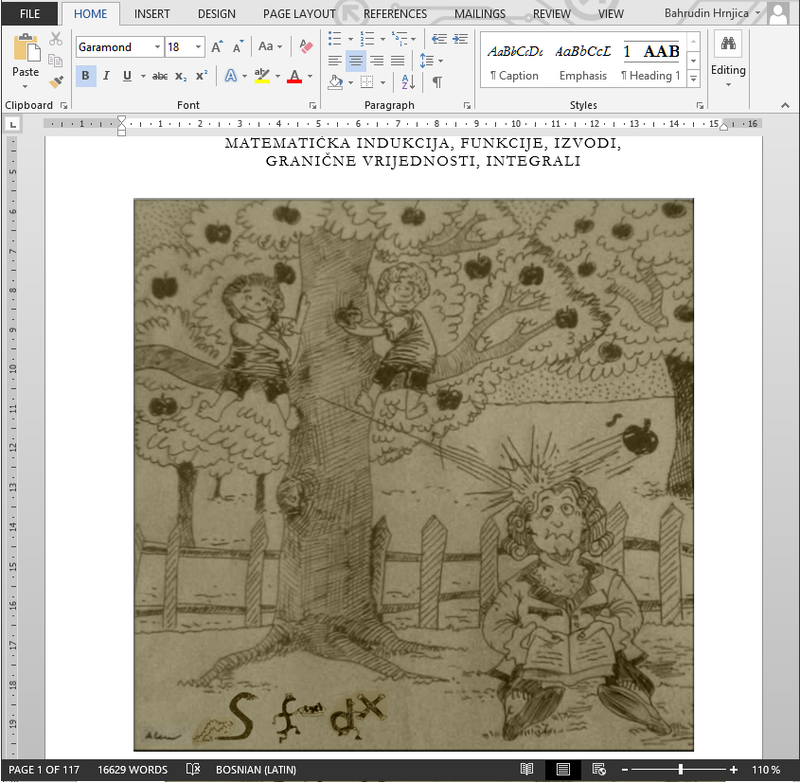 Then I wanted to open auto-saved version of the document, the same error appeared. So I changed the DocumentName.docx file in to DocumentName.zip, and extract the content, found document.xml file and opened it in Notepad++. If you didn’t know the word document with doc or docx extension is actually zip file, which you can extract. 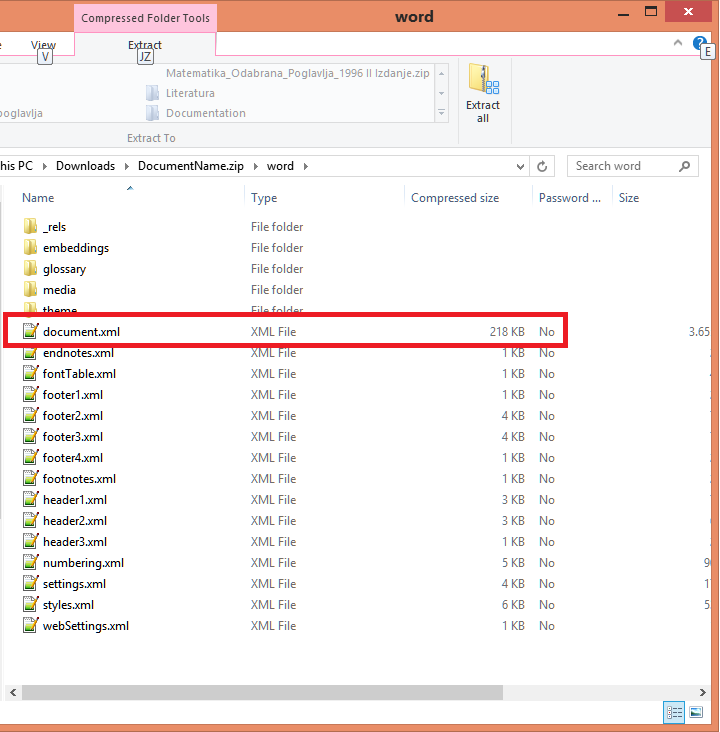 To find which element cause the content problem we have to format XML content. I prefer using Notepad++ and XML Tool PlugIn. It can be installed through Plungins menu of Notepad++. 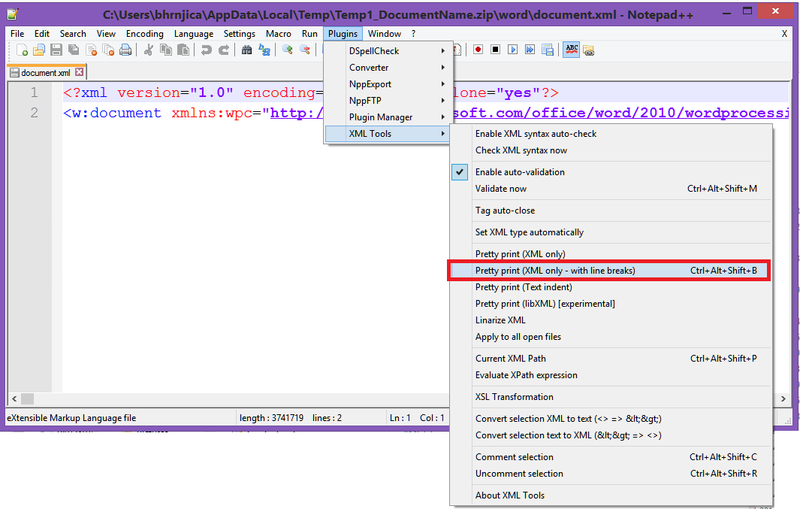 To format xml content choose option Pretty print (XML only – with line breaks) . After the content is formatted, back the Document.xml to zip, change the extension from zip to docx, and open the word document. 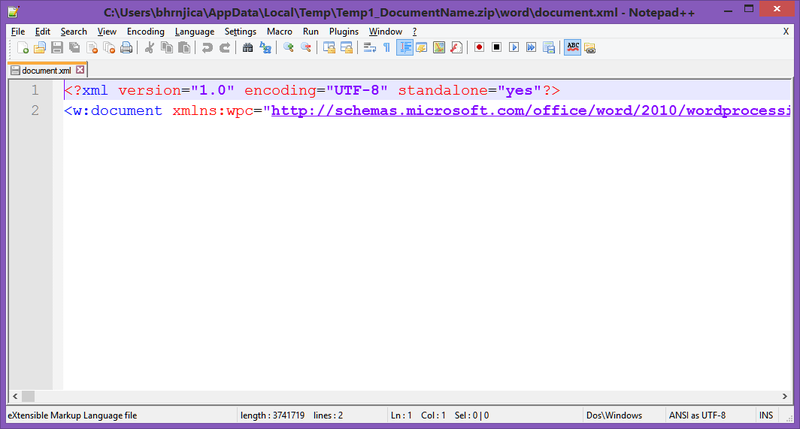 Copy document.xml back in to zip file, rename the extension and try to open. If you have another error, repeat the process again, otherwise your document is opened.